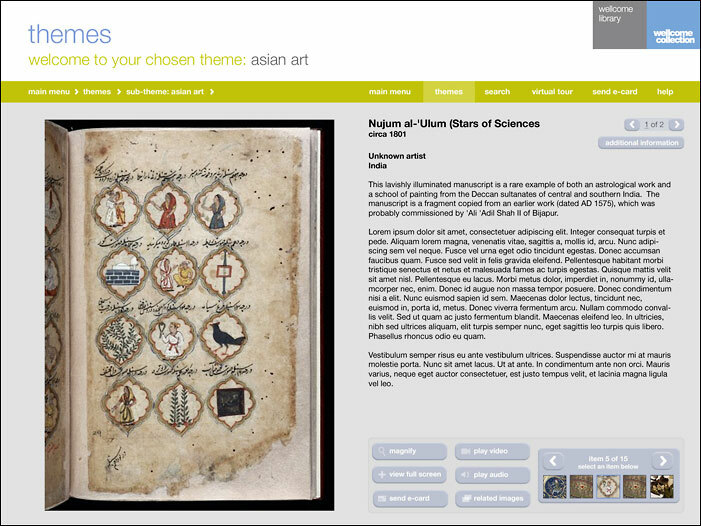 The Wellcome Library wanted to profile their top 1000 treasures in an interactive kiosk, but also be able to add to the content at any time and edit information presented in the kiosk. 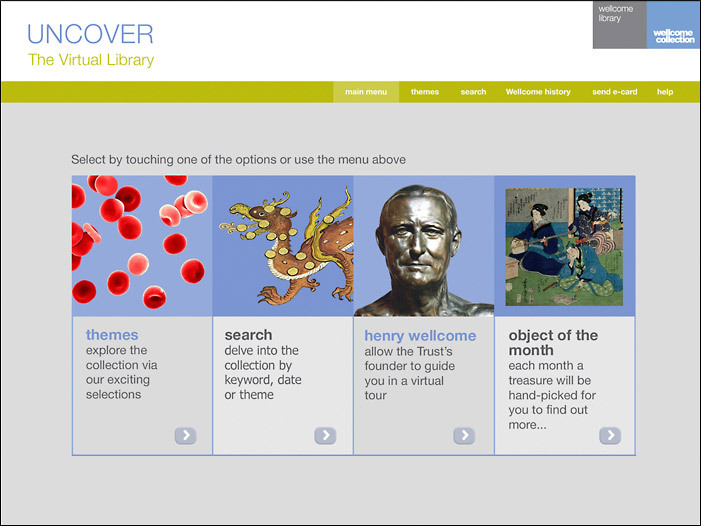 We build an application that uses OAI-PMH to query the library’s digital repository, allowing curators to flag items to go live in the kiosk as well as edit existing treasures. An elegant way of surfacing traditional DAM content.